Toronto-based producer Dabin is back with an impassioned single, ‘Alive’ ahead of his second album ‘Wild Youth’, out March 22nd. Since the release of his debut album, ‘Two Hearts’, the melodic instrumentalist has worked tirelessly to perfect his sonic stories, bringing a rhythmically pure breath of fresh air with ‘Alive’. Enrapturing listeners with delicate guitar melodies and mellifluous vocals from California based songstress RUNN, ‘Alive’ maneuvers between exhilarating drops and stunning emotional breakdowns. The track is a wildly joyous celebration of life, and one that serves as a perfect lead single for Dabin's second full-length album, 'Wild Youth'. ‘Alive’ kicks off 'Wild Youth' on a euphoric note, celebrating love, light, and all the beauty life has to offer. The evolution of Dabin’s artistic prowess is evident in his upcoming 10 track LP as he continues to bring forth a message of positivity and growth through vibrant melodies and upbeat, exuberant cuts. 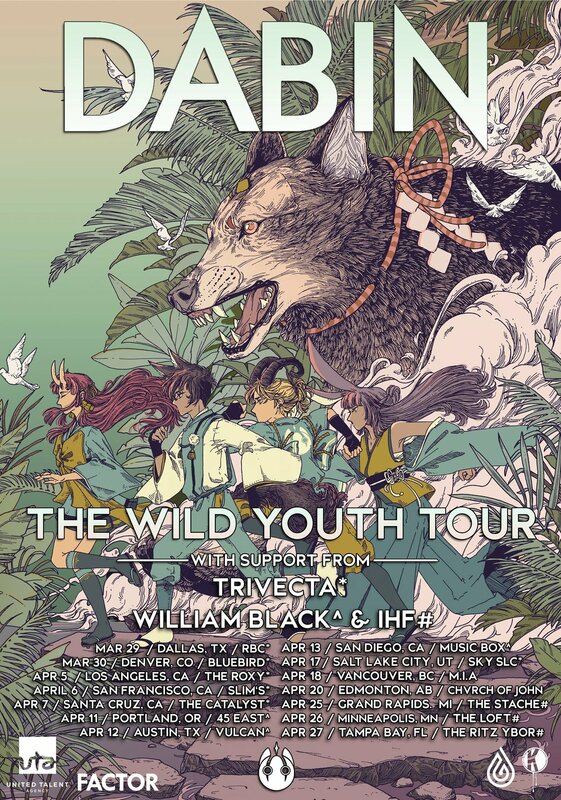 Fans can see this sonic journey come to life on Dabin’s 'The Wild Youth Tour', which will see 14 stops, making its way through Texas, Louisiana, Colorado, California, Oregon, Nevada, Utah, Minnesota, and Canada. The tour launches shortly after the release of ‘Wild Youth’ on March 22nd, and fans can purchase tickets to all shows below. Throughout 2018 Dabin shared the stage with melodic bass champion ILLENIUM on his Awake 2.0 tour, displaying his unique genre-defying live instrumentation across the globe. Now fans can catch the Toronto native across North America on his first ever headlining tour with Trivecta, William Black & IHF from March through the end of April. Previously collaborating with the likes of Seven Lions, SLANDER, and Said The Sky, Dabin has an expansive discography touching on quite a few subgenres of dance music. Amassing millions of plays across all streaming platforms since his ‘Two Hearts’ LP, ‘Alive’ is simply a taste of his forthcoming ‘Wild Youth’ LP which is set to be his greatest body of work yet.